When we say smart, we really do mean smart! Have you ever heard of a charcoal grill that can grill on its own? Neither did we; until the day we came up with the myGRILL idea! Real innovation, with maximum practicality. 2.It grills with the healthiest way possible! Now you can be sure that you and your family eat healthy grilled food right from the grill. All Chef SMART series grills are equipped with a built-in computer, the SMART System, responsible for calculating and performing all the necessary processes to automatically cook the food. 3.It is easy to use! It simplifies the whole cooking process. Only place the food on the appropriate cooking accessories and select the corresponding recipe from the built-in computer. You don’t need to know the cooking techniques to cook delicious food! 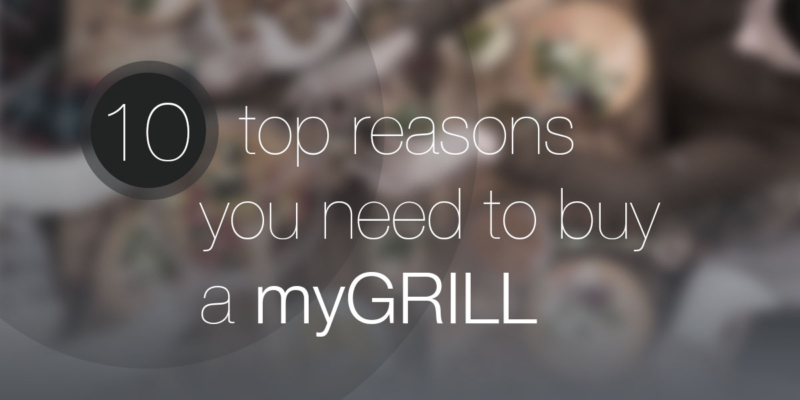 You are 100% confident your myGRILL is durable, and will last for life! At myGRILL we use the high quality 304 grade stainless steel. The 304 is a chromium-nickel austenitic stainless steel with excellent resistance to corrosion. For example the SMART cooking menu feature that can store your favourite recipes, and with the simple press of one button it can grill for you your favourite recipe. Not a one size fits all… You can choose between a small, medium or a large size fire bowl. You can even get the table top package without the cart. It’s up to you! Great grilled food, with less charcoal. The insulated basin of the grill only requires a small amount of charcoal to operate. 8.Saves you a lot of cooking time. Now you can run all of your other dinner table obligations, while myGRILL will cook the food without the need of any supervision! It comes with a full compact design satisfying even the most demanding! myGRILL Accessories – They really make a difference! The Blog section is only available in English.